Home / BLOG / Lighten up! Outdoor Lighting is more flexible than ever. When you have a landscape that truly dazzles during the day, don’t let it disappear at night. 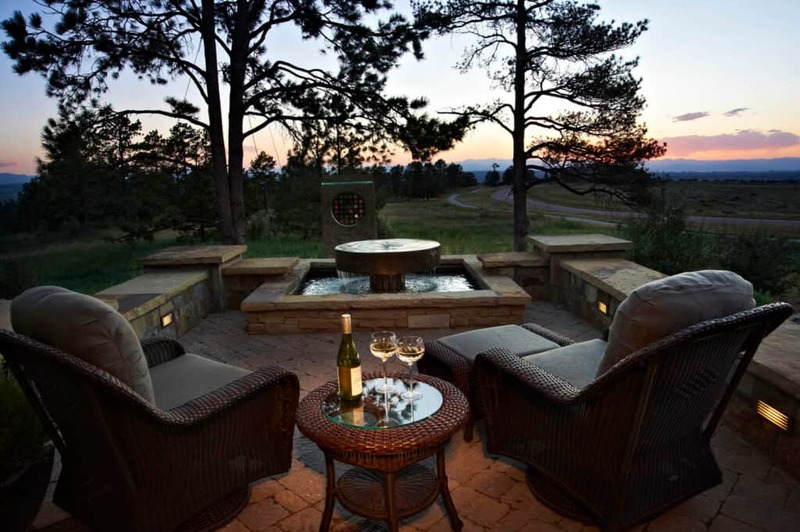 Well-designed outdoor lighting allows you to enjoy your landscape’s beauty well after the sun goes down. It can foster mood and ambiance, provide needed safety, and incorporate the newest tech and eco-friendly practices. Summer evenings in Denver are best enjoyed outdoors. Keep the party going with lighting tailored to your entertainment style. 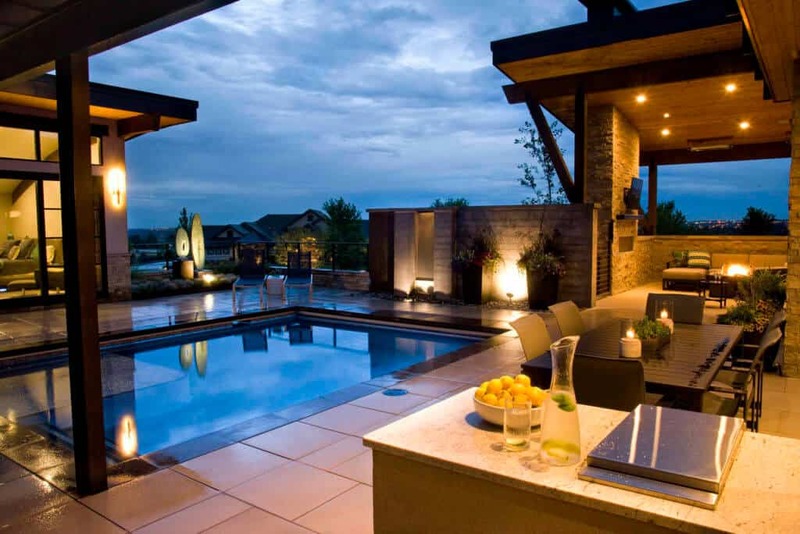 Overhead lighting keeps your outdoor living spaces lively and energized, while spotlights and under cap lights highlight your favorite landscape features. Simply lighting a beautiful tree or special architectural feature of your home can create a stunning effect. Incorporating colored and specialty lights can add festivity to your holidays. 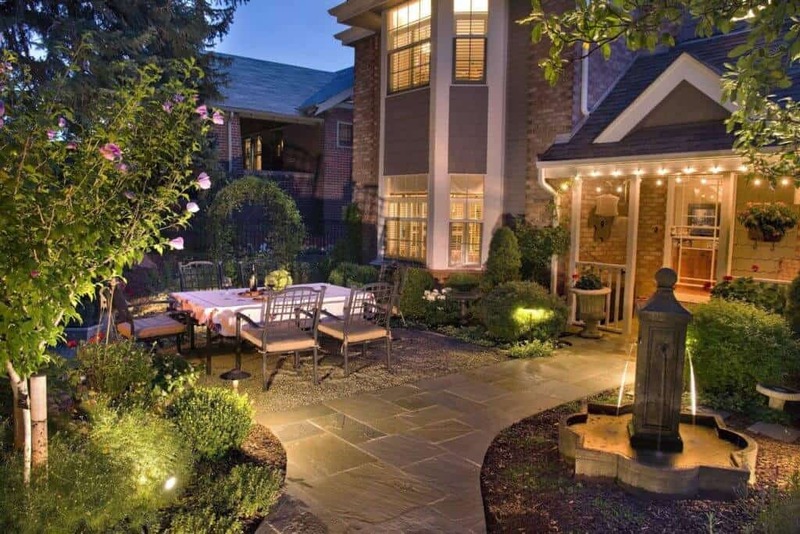 Outdoor lighting provides safety for your family or guests. Illuminate dark corners to increase visibility, line pathways and steps, and light your water features so you can easily navigate your landscape with confidence. With home automation, you can customize lighting zones so you can control which areas you’d like lit for different functions, and you can program them to light or turn off automatically. With LED lighting, installing and maintaining outdoor lighting has never been easier and more cost-effective. LED lights last for years and are highly durable, making your purchase a one-time investment. They use significantly less energy than traditional bulbs and can be powered with solar energy. LED’s are also recyclable and free of toxic chemicals making them the unquestionably eco-friendly choice. Pairing LED’s with high-quality fixtures will create a look that is just as luxurious as it is long-lasting. Contact the experts at Lifescape to learn more or to request a lighting design perfectly customized for your landscape.